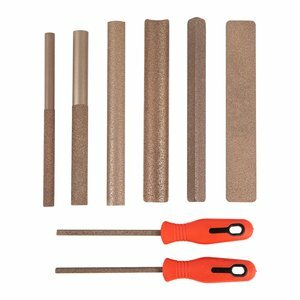 Perma-Grit® Coarse Hand Tools feature tough tungsten carbide grit welded to steel planks. 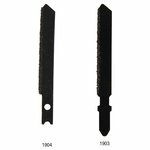 As a result, they're extremely robust and outlast traditional sandpaper by thousands of times. 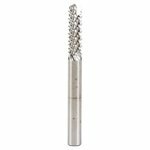 Use them to cut aggressively in any direction, make slots, finish edges, and shape composites, including carbon fiber and fiberglass. Coarse grit tools are especially useful for cleaning up the edges after other tools have been used to make larger cuts. They will not fray or shatter the edges of your part. 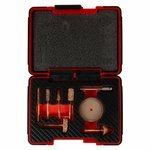 #1921 is a comprehensive 8-piece kit containing the most popular hand tools as noted below, and includes a Velcro-fastened tool roll for organized storage. Perma-Grit Coarse Hand Tools are available as part of an 8-piece set (#1921-A), which is sold by the unit.